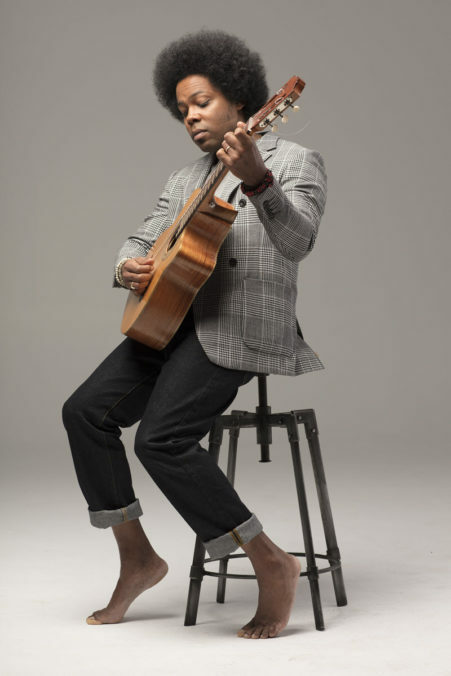 Since just before the turn of the century, Alex Cuba – born Alexis Puentes in Artemisa, Cuba – has called the province of British Columbia home. And in the almost two decades that he has called Canada home, Cuba has enjoyed a level of success here and abroad that few of his Cuban countrymen would be able to identify with. His achievements are impressive, to say the least: Since 2004, Cuba has released six solo records, won two Juno Awards, as well as three Latin Grammy Awards. He has collaborated with a wide array of artists from New Brunswick native David Myles and Canadian singer-songwriter Ron Sexsmith to internationally-renowned superstars Nelly Furtado and Corrine Bailey Rae. But he shares his departure from Cuba remains a bone of contention for that country’s government, one that is ultimately keeping his achievements from being widely recognized and shared among his former countrymen. On his way home from a European tour not long after his award win, Cuba says he decided to fly to take a slight detour to Havana before returning to Canada. Cuba insists he has never made any kind of public political statement about his former homeland or anywhere else, for that matter. Although he was never given an exact reason for the interview’s cancellation, he suspects it has everything to do with the fact he left the country to live elsewhere. Despite feeling slightly soured on his former homeland now, the singer-songwriter fondly recalls that his Cuban upbringing was rather idealistic. While still a youngster, Cuba joined his father’s musical group, which was comprised of 24 guitarists, before going on to study electric and upright bass. Following his arrival in Canada in 1999, Cuba recorded an album, Morumba Cubana, with his twin brother Adonis, released under The Puentes Brothers moniker. It was in 2004 that Cuba would find his voice as a solo artist, issuing his debut effort, Humo de Tabaco. The album ended up earning him a Juno Award for World Music Album of the Year. Over the course of his subsequent studio releases in 2007, 2009, 2012, and 2015, as well as Lo Único Constante, his most recent record, Cuba has carved out an irresistible niche of Latin music that has been infused with hints of jazz and pop. The roots of Cuba’s latest album began in Spain before ultimately moving onto Montreal and Victoria, B.C. The album delves deeply into his songwriting roots, having been inspired by the filin movement in Cuba of the forties that fused jazz and trova together with emotional, but not sad lyrical content. He acknowledges the life of an independent musician is anything but a walk on easy street, but definitively says there is nothing else he would rather be doing. When: Sunday Sept. 24, 7:30 p.m.